Unfortunately, this addon doesnt work on dedicated servers. 2013/09/15, 13:29:09 Warning Message: You cannot play/edit this mission; it is dependent on downloadable content that has been deleted. This happens when adding a Delta Ghost (Recon) Teamleader(L). Have not tried with any other units. Weapons Pack work fine on dedi server. and all are included in DEVGRU and Weapons pack pbos. This is reproducable by taking a new blank mission, add two units (1 player & 1 playable) and export as mpmission. So deffo a addon config issue. I'm not good with addon configs so I can only guess. Maybe missing addon dependencies defines in the addon? Just tried to put 2 units Delta Ghost (Recon) Teamleader(L) in the editor, 1 player, the other playable, then I exported it as MP mix and started it, but I got no errors pop ups, and units were playable as always, so for me was working right. Thanks for reporting Shadow, if the issue is confirmed hope to fix it as soon as possible. Yours mods work on ours dedicated servers and we use it a lot with the VTS mission, but we don t see the reskinned vehicules of this pack in the list. We see the RU/AFR/ITA/etc reskinned vehicules with the others packs but not with this us pack (but we see the new delta force units and groups). Thanks for the report ;) ! also the US vehicles config is exactly like the Others of my packs (copy\pasted), they should be listed under USSOCOM Special Support faction. Wow these are just phenomenal! 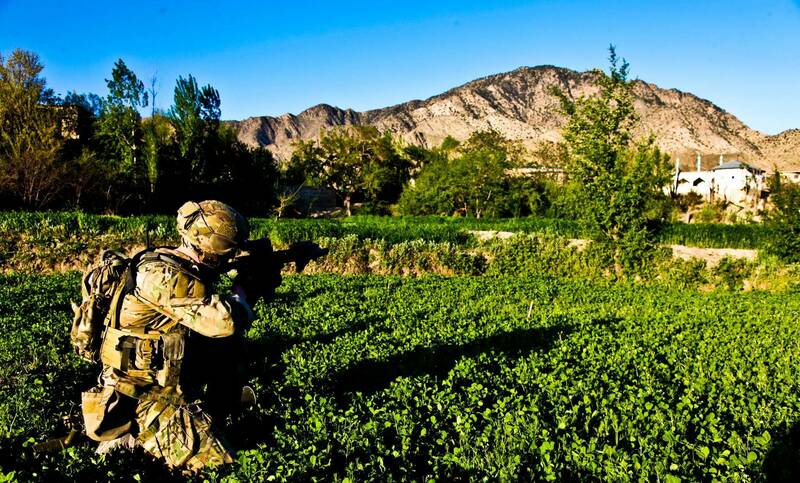 Although it would be nice to have a half OD Green half Multicam Vest for the Rangers and also just a Full Multicam for the Rangers. 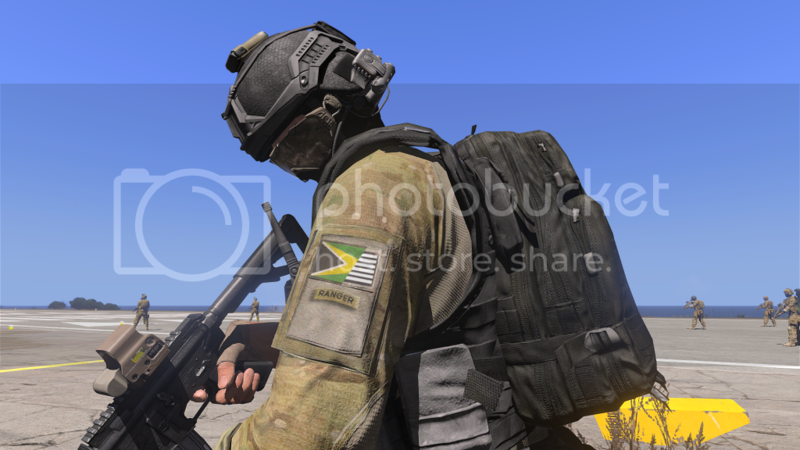 Iâ€™m updating the USSOCOM pack with new multicam textures, and the introduction of Ranger units in full multicam uniform and gear. Also unitâ€™s organization in the editor has been tweaked, and the dedicated server fix is no more required for those units. Hope youâ€™ll enjoy it ;) ! - Units are equipped with M4A1, HK416, M249, Mk48, SR25, HK417, M107, USP and ACP from my NATO SF\Spetsnaz weapons pack. BI: for releasing the A1 sample models , from which I have taken the rest of the weapons models ported to A3, thanks for the same reason above! Copy, will you ever make a vest that simulates the same fabric aka looks the same? hello massi, 1) big thx for your dedication 2) could you please upload this addon+uk sbs/sas on six? would make it easier to use with AllInArma. excellent units, cool weapons!!! Updated release frontpaged on the Armaholic homepage. Massi, just noticed the USSOCOM 75th Rangers; Class Ranger DA Units; Squad Leader, JTAC Operator, and the Marksman H units have a corrupted US Patch on left shoulder. Love the mods, no biggie just wanted to let you know. No problem, still a great mod, thanks for the work! Do you have a plan to make combination of camo? Love this mod! Units and weapons! (only issue I have is I'm having a terrible time trying to learn how to Zero in on the GL / scope system). My GL shots are not accurate at all. this mod is great. 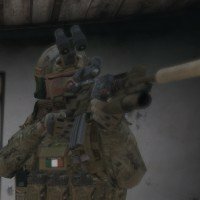 I created a showcase mission about the uniforms.